Since April 19th we've received close to 20 different press releases (possibly more, but I think I may have deleted a few) from Porsche's PR department. Generally, we publish most of them, but we don't necessarily send them out in our newsletters (remember this post about stealth publishing). I figure if we published and sent out a newsletter every time Porsche releases a new piece of press you would hit the unsubscribe button faster then the 0 to 60 time of the new GT2 RS (3.4 seconds if you were wondering). While we try to save the newsletter for more then just promotional items sometimes Porsche puts out something so juicy we just can't resist. The new 911 GT2 RS is one such item. As "The Most Powerful Street Legal Porsche of All Time" (620 HP), a production limit of just 500 worldwide and a price tag just $5k shy of a cool quarter of a million we couldn't resit. The excellent video intro, featured below, definitely didn't hurt either. The original press release is published after the video for those of you that haven't yet had a chance to view the details. The latest 911 is the fastest and most powerful road-going sports car ever built in the history of Porsche. With horsepower (hp) up by 90 and weight down by 154 lbs (70 kilograms) in comparison with the previous 911 GT2, the new 911 GT2 RS has a power-to-weight ratio of just 4.9 lbs (2.21 kg) per horsepower, by far the best power/weight ratio in its class. These are the ideal ingredients for an ultra-high-performance sports car with supreme agility and truly blistering performance on the road. 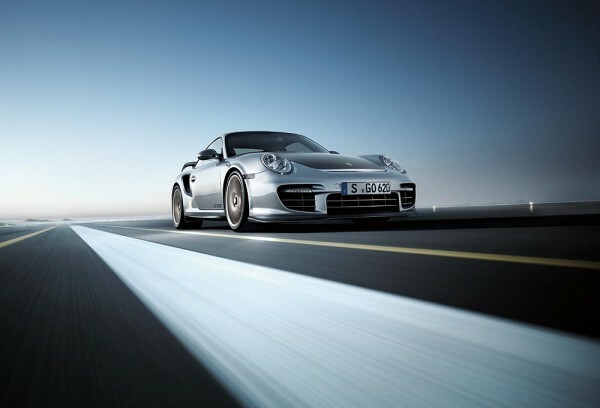 Perfectly illustrating Porsche Intelligent Performance, the 2011 GT2 RS achieves a reduction of approximately 5 percent for both fuel consumption and CO2 emission reduction when compared with the previous 911 GT2. In its looks, the new 911 GT2 RS stands out clearly from the other 911 models through the lavish use of carbon-fiber-reinforced (CFR) components with a matt-black surface finish, even wider wheels (including flared wheel arches at the front), new light-alloy wheels with central locking and “GT2 RS“ model designations on the doors and rear lid. Matte-finish carbon also graces the redesigned front spoiler lip and the 3/8th of an inch (10 mm) taller rear spoiler lip – which both enhance aerodynamics and provide extra downforce. What’s Your Favorite Porsche and Why? I found it funny that they felt compelled to mention “Matte-finish carbon also graces the redesigned front spoiler lip and the 3/8th of an inch (10 mm) taller rear spoiler lip…” Are we Porsche Purists so obsessed that we would have noticed the omission of the mention of a 3/8th inch taller rear spoiler lip? @ Stephen – You bring up an interesting question – who do you think the press release is written for? Or should be written for? “Porsche Purists? Fans? Journalists? Or…?